"Music that teaches Spanish!" presents core vocabulary and structures from any basic first year Spanish curriculum by means of lively, catchy original tunes. 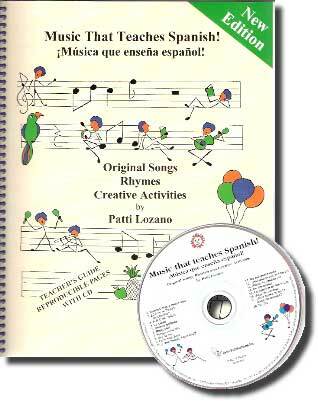 The thirteen songs and five rhymes have proven popular with teachers and students of Spanish in both elementary and middle schools due to their humorous, repetitive lyrics and their wide variety of musical styles, which may be fully appreciated on the accompanying CD.